In this special evening workshop with Visiting Teacher, Gen Kelsang Delek, you will gain insight into the mind-body connection through powerful ancient healing meditations taught by Buddha in a modern and accessible way. Learn how to transform the simple act of breathing into a powerful healing practice that causes mental peace and happiness, improves concentration, enhances your love, compassion, and wisdom, and brings great meaning to your life. Gen Kelsang Delek is the Resident Teacher of Kadampa Meditation Centre Fraser Valley in British Columbia. 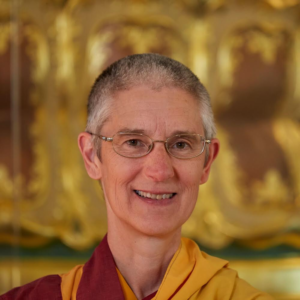 She has been a student of Venerable Geshe Kelsang Gyatso for 30 years, teaching meditation in Canada, the UK and Japan. She is loved by her students for her kindness, sincere example, and the clarity of her teachings. We are lucky to have such a senior teacher visit KMC Winnipeg!